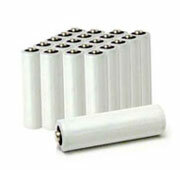 Max Power Battery Ltd. is specialized high technology of rechargeable batteries. 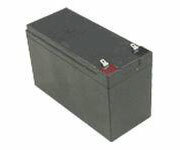 We focus on the manufacture of Ni-MH, Ni-Cd and Lead-Acid batteries. Our company's headquarter is located in Hong Kong and we have branches in North American. The company has developed in the field of the battery production for more than 10 years, and our factory is located in China. We have sold for more than 200 millions of rechargeable batteries per year in Hong Kong and to overseas. Our company has passed the international ISO9001 , European CE , American UL and RBRC approval. We export world-wide all kinds of the batteries, such as toys, mobile phones, wireless telephones, digital cameras, emergency lights, Power tools, etc. We have been directly and indirectly supplying cells to Philips, JVC, Futaba, Cobra, Cooper Lighting, Sony, British Telecom (BT), etc., over the past 10 years.